If you are looking for quality, longevity, and professionalism - Ozroofworks is the right choice for you! When it comes to our home or property, there should be no space left for mistakes. After all, it is where we spend our most precious and memorable moments. It's only natural that we want to feel best in our home. In order for it to be our safe haven, we need to make sure that it's solid and safe at all times. And what's more important than a long-lasting and energy-saving metal roof? If your home doesn't have a suitable roof, you are probably wasting energy and spending a lot on electricity bills. What's more, in case of floods or other severe weather conditions, your home is likely to get damaged, which could result in additional costs. 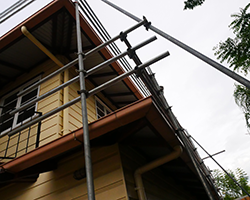 We are metal roofing contractors based in Brisbane, and we have over 40 YEARS OF EXPERIENCE. 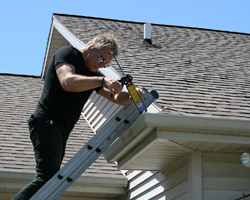 For any roof-related problem on your home or property, we provide a swift, high-quality service. With us, you can always be sure that you have made the right choice. In fact, our family owned business is LICENSED AND INSURED. Our staff consists of experienced and responsible workers who will do everything in their power to make your home/property functional and beautiful at the same time. Our business is a well-established one, but it still keeps growing. Every now and then, clients hire us to perform new, exciting, and demanding projects, which we always enjoy. In some cases, in order to provide THE BEST SERVICE POSSIBLE, we join our efforts with architects and builders. 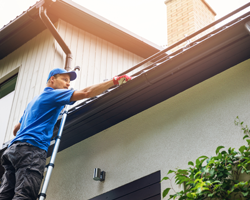 So, if your home or property is in need of renovation, but a new roof isn't the only thing that needs to be installed, there's no need to worry. We will work together with our experienced partners and present you with CUSTOMISED SOLUTIONS for your home. Many homeowners and property investors contact us with the wish to have a new metal roof installed on their property. They know that a metal roof comes with MULTIPLE BENEFITS and that a high-quality, long-lasting roof is an investment. If you aren't sure whether your current roof should be replaced or not, you should inspect its condition first. Plus, if the area you live in has inclement weather conditions, chances are that your roof will suffer the consequences. Over time, it will definitely get damaged. The first signs shouldn't be ignored; THE SOONER YOU ACT - THE BETTER. One more thing - we can also replace your roof for aesthetic reasons only. If you wish to enhance the way your home or property looks, that's a good enough reason to install a new roof. Plus, apart from looking great, a new roof will make your home more functional. You can contact us at Ozroofworks at any moment and we will provide a FREE QUOTE for your roof replacement! 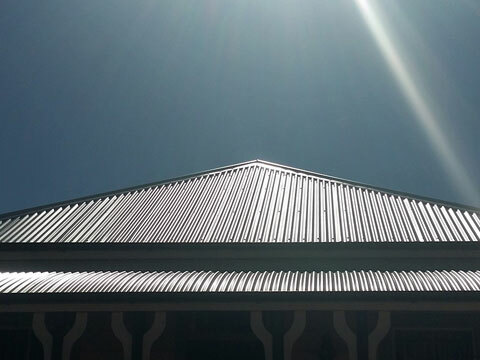 When it comes to metal roofing, Colorbond sheeting is getting more and more popular every day. That doesn't come as a surprise, though. This coated steel roofing material is extremely long-lasting and it PERFORMS AMAZINGLY WELL IN ALL WEATHER CONDITIONS. Rain and high winds don't have a chance against it. As we already mentioned above, Colorbond steel is extremely long-lasting; in fact, it's one of the best options there is when it comes to high-quality roofing. We recommend this material to everyone who wishes to protect their home from severe weather conditions. Colorbond roofing requires NO MAINTENANCE whatsoever. While other roofing materials require frequent painting, that's not the case with Colorbond steel. 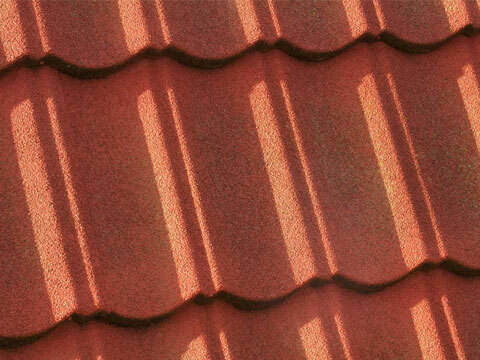 Since the colour literally bonds to the metal, there is no need to repaint your roof regularly. Also, its baked finish resists peeling, cracking, and chipping. Furthermore, it's termite-resistant, non-combustible, and weatherproof - it's an ideal choice for harsh Australian weather conditions. Colorbond steel is LIGHTWEIGHT AND STURDY at the same time, which makes it ideal for all types of buildings. For that reason, we can recommend it to owners whose property has very little pitch, an extremely steep pitch, or no pitch at all. With Colorbond steel, water is not a concern anymore as the material allows simple and quick rainwater drainage. Since water can rapidly run off the ridges, which have been specially designed, you can be sure that there won't be any leaks. Colorbond roofing is an EXCELLENT INSULATION method, both during summer and winter. This thermally efficient material radiates less heat into your home since it cools down quickly. Also, with proper home insulation, you can expect reduced energy bills. Steel is one of the most reused materials in the world, and Colorbond roofing is no exception; it's 100% RECYCLABLE. Plus, since we deliver it on-site in pre-cut pieces, there is less waste than with other roofing materials. Colorbond steel is an ideal choice for anyone who cares about appearances. Its neat and modern look will complement every home. Moreover, it goes well with both traditional and modern structures. One more thing - there's a whole range of colours to pick from. Zincalume steel is another favourite of ours; for all our projects, we either use Zincalume or Colorbond steel. Many people claim that Zincalume steel is THE ULTIMATE MATERIAL when it comes to roofing, and we have to agree. Its quality is impeccable, and every homeowner can be assured that a Zincalume roof will satisfy their needs. and that makes it around four times stronger than galvanised steel. Zincalume roofs can withstand all kinds of severe weather conditions, including hail and heavy rain. In addition, Zincalume steel is RUST-RESISTANT and CORROSION-RESISTANT, which allows it to last for many years without getting damaged. All in all, it's one of the best choices on the market. Not only is Zincalume steel roofing a long-lasting and reliable solution, but it's also an AESTHETICALLY PLEASING one. In fact, this type of roofing can complement both contemporary and traditional houses/buildings. Also, it's easy to paint, so we can easily make it blend in with the environment. 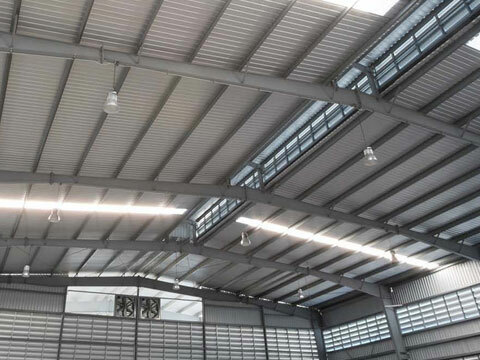 Since it's flexible, durable, and lightweight, Zincalume steel is a SMART AND COST-EFFECTIVE BUILDING CHOICE. It's no wonder that builders, architects, engineers, and manufacturers all over the world have been using this material on everything from industrial buildings, steel framing and home appliances to garage doors, guttering, and private properties. Before you decide to get a new metal roof installed, we should tell you about the installation process. Many people think that installing a new roof will take a lot of time and effort. In reality, there isn't much you have to worry about. At Ozroofworks, we will do the job for you. Before doing anything else, we have to arrange consultations with you. 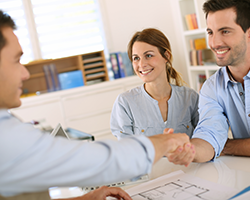 In order for us to give you a quote, we have to take a look at your property first. Next, we like to hear your thoughts and ideas for the project. Everything we do, we do in agreement with our clients. Once we have gone through all the details, we can give you an exact quote and proceed to the next step. Safety is our number one priority; with that in mind, we never start working on any project before our clients have paid for insurance and we have performed all the necessary erecting safety precautions. In agreement with you, we then install either Colorbond or Zincalume steel roofing on your structure, add batt insulation, and take care of guttering projects, too. It's important to note that all of our projects MEET THE CURRENT BUILDING CODE in our clients' area. Once we have completed the project and made your property a safer, more functional, and more beautiful place to live in, we will clean the site and get everything back in order. Furthermore, before we leave the premises, we will conduct a thorough quality control, making sure that your new metal roof is up to the code. 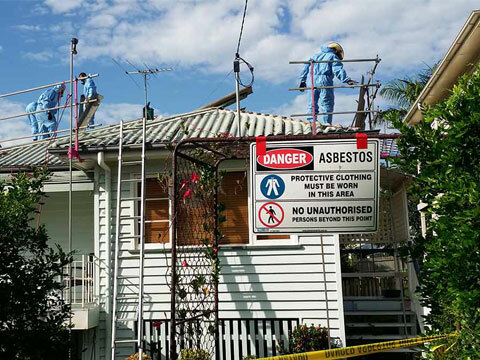 With over 40 years of experience, Ozroofworks is one of the most well-established and prominent businesses of its kind in Brisbane. Ozroofworks is a family-owned LICENSED AND INSURED business that provides ONLY THE BEST SERVICE. If you are considering having your roof replaced, contact us NOW and we will provide a FREE ROOFING ESTIMATE! 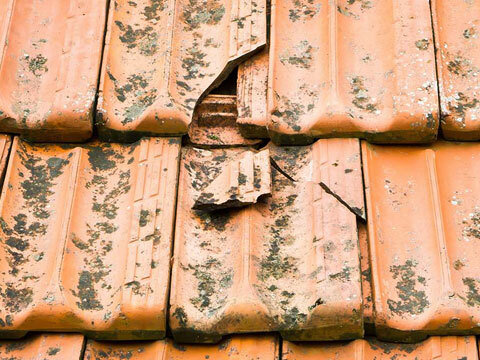 Don't wait until it becomes too late - your old roof won't repair itself. Give us a call and we will make sure that your home is a safe place to live in. Moreover, we will make it look as good as new. Once we install a brand new metal roof to your home/property, you can be sure that you and your loved ones are well taken care of.